Shareholders: who own shares of the business but do not contribute to the direct management of the corporation. Directors: who may be shareholders, but as directors do not own any of the business. They are responsible for making the major business decisions of the corporation. Officers: who may be shareholders and/or directors, but, as officers, do not own any of the business. Officers are responsible for day-to-day operation of the corporate business. Corporate creation, formation and operation documents. Documents for use when dissolving an existing corporation and distributing remaining assets. Forms which will assist in filing corporate reports with the Securities & Exchange Commission. For use when purchasing shares from an individual or entity that owns certain corporate shares. Used when giving a voting trustee the right to vote certain shares held by a shareholder. Business Plan - Kit This kit provides the tools and guidelines for developing your company’s Business Plan. For use in all states. Business Plan Worksheet This kit provides a simple worksheet for developing your company’s Business Plan. For use in all states. Financial Plan Worksheet This kit provides the tools and guidelines to develop a Financial Plan for your company. For use in all states. Marketing Plan Worksheet This kit provides the tools and guidelines to develop a Marketing Plan for your company. For use in all states. Dissolution of Corporation Kit with helpful forms and guidelines for dissolving a corporation. Termination by Liquidation and Dissolution Agreement This Termination by Liquidation and Dissolution Agreement is used when owners decide to terminate their relationship by liquidating all assets. Form of Rule 144 Seller's Representation Letter This Form of Rule 144 Seller's Representation Letter will set out a seller's representations in connection with the transfer or sale of restricted stock. Questionnaire for Directors Officers and Shareholders This Questionnaire for Directors, Executive Officers and Shareholders is used to obtain or verify information in order to file a SEC report. Section 83(b) Election Form This Section 83(b) Election Form allows an employee to change his or her treatment of restricted stock grant. This form must be filed with the Internal Revenue Service. Voting Agreement This Voting Agreement will detail how major shareholders will vote in favor of a certain designee who wants to join the company's board of directors. Board of Directors Forms Combo Package Get 5 forms for just $39.95. Save 53%! Combo Package of our most popular Corporate Board of Director forms for use in all states. Business Plan Forms Combo Package Get 5 forms for just $14.95. Save 85%! Save money by getting our very popular business plan forms together in one convenient packet. Corporate Shareholder Forms Combo Package Get 5 forms for just $39.95. Save 53%! Save Money with this combo package containing our popular Corporate Shareholder forms. 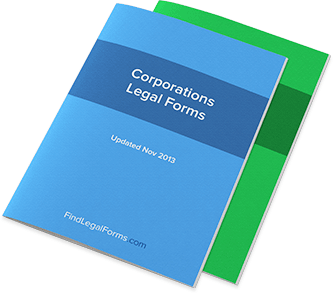 Corporate Forms Combo Package Get 10 forms for just $39.95. Save 77%! Combo Package of our most popular Corporation Forms for use in all states. Corporate Startup Forms Combo Package Get 10 forms for just $39.95. Save 79%! For use when starting a corporation. Forms include bylaws, S-corporations, pre-incorporation, articles of incorporation, stock certificates and meeting kits. The bylaws of a corporation are the third part of the triangle that provides the framework for the management of the corporate business. Along with state law and the Articles of Incorporation, the bylaws provide a clear outline of the rights and responsibilities of all parties to a corporation. In particular, the bylaws provide the actual details of the operational framework for the business. The bylaws are the internal document that will contain the basic rules on how the corporation is to be run. Every corporation must have a set of bylaws. Many of the provisions cover relatively standard procedural questions, relating to quorums, voting, and stock. Other provisions may need to be specifically tailored to the type of business for which the bylaws are intended. They are generally able to be amended by vote of the board of directors, unless the Articles of Incorporation or the bylaws themselves have transferred that authority to the shareholders. The bylaws provided on this site specify that the power to amend them is vested in the board of directors, but that the shareholders have the power to approve or reject any amendment. Agent: A person who is authorized to act on behalf of another. A corporation acts only through its agents, whether they are directors, employees, or officers. Amendment: An addition, deletion or change to a corporate bylaw or article of incorporation. Articles of Incorporation: The charter of the corporation, this is the public filing with a state that requests that the corporation be allowed to exist. Along with the corporate Bylaws, it provides details of the organization and structure of the business. The articles must be consistent with the laws of the state of incorporation. Assumed name: A name, other than the corporation’s legal name as shown on the Articles of Incorporation, under which a corporation will conduct business. Most states require registration of the fictitious name if a company desires to conduct business under an assumed name. The corporation’s legal name is not an assumed name. Authorized stock: The number of shares of stock that a corporation is allowed to issue as stated in the Articles of Incorporation. All authorized shares need not be issued. Board of directors: The group with control of the general supervision of the corporation. They are elected by the shareholders and the board, in turn, appoint the officers of the corporation. Business corporation laws: For each individual state, these provide the legal frame- work for the operation of corporations. The Articles of Incorporation and the bylaws of a corporation must adhere to the specifics of state law. Buy-out/sell-out provision: Provision in a shareholder’s agreement that provide that if a shareholder wishes to either buy all of the outstanding shares of a corporation or sell all of their own shares of the corporation, they must be willing to allow either event to happen. Bylaws: The internal rules that govern the management of the corporation. They contain the procedures for holding meetings, appointments, elections, and other management matters. If these conflict with the Articles of Incorporation, the provision in the articles will be controlling. Capital: Initially, the actual money or property that shareholders transfer to the corporation to allow it to operate. Once in operation, it also consists of accumulated profits. The net worth of the corporation. Capital stock: See Authorized stock. Certificate of Incorporation: See Articles of Incorporation. Note, however, some states will issue a Certificate of Incorporation after the filing of the Articles of Incorporation. Close corporation: Corporation with less than 50 shareholders that has elected to be treated as a close corporation. Not all states have close corporation statutes. (For information regarding close corporations, please consult a competent attorney). Closely held corporation: Not a specific state-sanctioned type of corporation, but rather a designation of any corporation in which the stock is held by a small group of people or entities and is not publicly traded. Common stock: The standard stock of a corporation that includes the right to vote the shares and the right to proportionate dividends. See also Preferred stock. Consent resolution: Any resolution signed by all of the directors or shareholders of a corporation authorizing an action, without the necessity of a meeting. Cumulative voting: A voting right of shareholders that allows votes for directors to be spread among the various nominees. This right protects the voting strength of minority shareholders. The amount of votes in cumulative voting is based on the number of shares held times the number of director positions to be voted on. The shareholder can then allocate the total cumulative votes in any manner. Dissolution: Methods by which a corporation concludes its business and liquidates. Dissolutions may be involuntary because of bankruptcy or credit problems, or voluntary on the initiation of the directors or shareholders of a corporation. Dividend: A distribution of money or property paid by the corporation to a shareholder based on the amount of shares held. Dividends must be paid out of the corporation’s net earnings and profits. The board of directors has the authority to declare or withhold dividends based on sound business discretion. Domestic corporation: A corporation is a domestic corporation in the state in which it is incorporated. See also Foreign corporation. Double taxation: The taxation of business profits at the corporate level and the second taxation of those same profits at the individual taxpayer level, when such profits are distributed to a corporate shareholder as dividends. Fictitious name: See Assumed name. Foreign corporation: A corporation is referred to as a foreign corporation in all states other than the one in which it is actually incorporated. In order to conduct active business affairs in a different state, a foreign corporation must be registered with the other state for the authority to transact business and it must pay an annual fee for this privilege. Incorporator: The person who signs the Articles of Incorporation. Usually a person, but some states allow a corporation or partnership to be an incorporator. Indemnify: To reimburse or compensate. Directors and officers of corporations are often reimbursed or indemnified for all the expenses they may have incurred in incorporating. Issued shares: Shares of stock in a corporation that have been authorized by the board of directors of a corporation. See also Authorized stock or Treasury shares. Limited liability company: A relatively new form of business entity which provides limited liability for its owners, and an opportunity to be taxed as either a sole proprietorship, partnership, or a corporation. Minutes: A written record of the activities of a meeting. No-par value: Shares of stock which have no specific face value. The board of directors can assign a value to the shares for sale and can then allocate a portion of the sales price to the paid-in-capital account. Officers: Manage the daily operations of a corporation. Generally consist of a president, vice-president, secretary, and treasurer. Appointed by the board of directors. Outstanding shares: Shares of stock in a corporation that have been authorized by the board of directors of a corporation and that have also been sold to a shareholder and are currently held by a shareholder. Paid-in-capital: The amount of actual money that shareholders of a corporation have paid to the corporation for the shares of stock in the corporation. Par value: The face value assigned to shares of stock. Par value stock must be sold for at least the stated value, but can be sold for more than the par value. Perpetual duration: The ability for a corporation to have a continuing existence be- yond the lives of its founding shareholders. Piercing the corporate veil: A legal decision that allows a court to ignore the corporate entity and reach the assets of the shareholders, directors, or officers. Preemptive rights: A shareholder right that allows shareholders the opportunity to maintain their percentage of ownership of the corporation in the event that additional shares are offered for sale. Preferred stock: Generally, stock that provides the shareholder with a preferential payment of dividends, but does not carry voting rights. Proxy: A written shareholder authorization to vote shares on behalf of another. Directors may never vote by proxy (except in some close corporations). Quorum: The required number of persons necessary to officially conduct business at a meeting. Generally, a majority of the shareholders or directors constitutes a quorum. Record book: The corporate record book provides a written and official tally of the ownership of all of the outstanding shares of stock in the corporation. Registered agent: The person designated in the Articles of Incorporation who will be available to receive service of process on behalf of the corporation. A corporation must always have a registered agent. Registered office: The actual physical location of the registered agent. Need not be the actual principal place of business of the corporation. Resolutions: A formal decision that has been adopted by either the shareholders or the board of directors of a corporation. S-corporation: A specific IRS designation that allows a corporation to be taxed similarly to a partnership, yet retain limited liability for its shareholders. Service of process: Summons or subpoena. Shareholders: Own issued stock of a corporation and, therefore, own an interest in the corporation. They elect the board of directors and vote on major corporate issues. Stock transfer book: The ledger book (or sheets) in which the registered owners of shares in the corporation are recorded. Treasury shares: Shares of stock that were issued, but later reacquired by the corporation and not cancelled. May be issued as dividends to shareholders. They are issued but not outstanding for terms of voting and quorums.